Submit one Transfer Request with BOTH the parole case & subsequent probation case. Note: Supervision dates for each case are saved independently within ICOTS. If the sending state chooses to submit the parole and probation cases on separate ICOTS cases, be sure to send the “probation” transfer request in advance of the expiration of parole to ensure continuity of supervision. Submit one Transfer Request that includes criminal case information, conditions of supervision, expiration dates etc. for parole and a separate Transfer Request for the probation case. 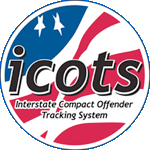 Within the same Offender number, create a new ICOTS Case Number for the subsequent probation case. Each agency submits a separate Transfer Request utilizing the same Offender Number. Be sure to send the “probation” transfer requests in advance of the expiration of parole to ensure continuity of supervision. user to create a new active case for an offender. Submit one Transfer Request that includes criminal case information, conditions of supervision, expiration dates etc. for the probation and parole cases. This functionality is helpful when submitting multiple cases for the same offender and should be used to avoid creating duplicate offenders records in ICOTS. If only one case number was submitted and accepted, only one activity such as Progress Reports, Violation Reports, CAR’s, Case Closures, need to be submitted by the Receiving State. If more than one case number was submitted and accepted (from a bifurcated state), separate Progress Reports, Violation Reports, CAR’s, Case Closures, etc. need to be submitted by the Receiving State under both case numbers to ensure both agencies receive and respond accordingly to the action.